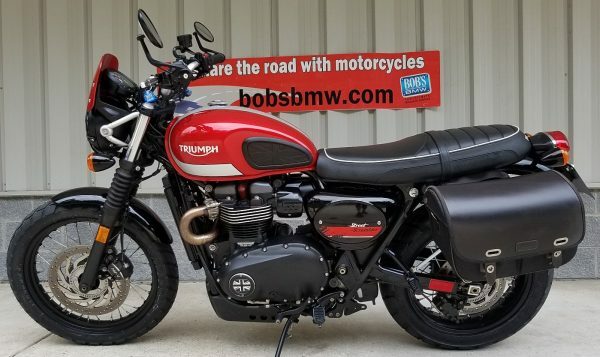 If this beautiful machine was 5 years younger it would qualify as an ADVANTAGE CERTIFIED offering here at Bob’s because it qualifies in every other possible way. Alas, it’s not, so we can’t. 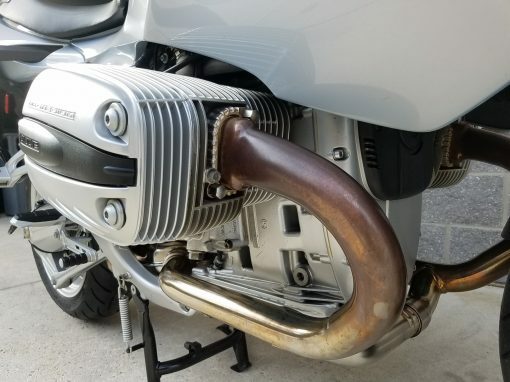 But it is most certainly a very special machine. 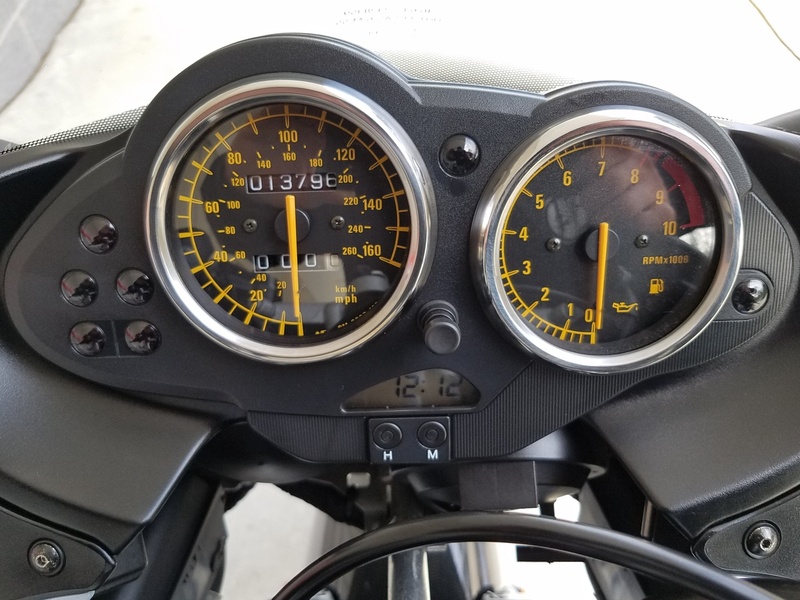 Finding low mile, clean, fully serviced, ABS equipped examples of this model has gotten decidedly harder year after year. The R1100S was not too common a model in the first place, and ones with ABS even rarer. 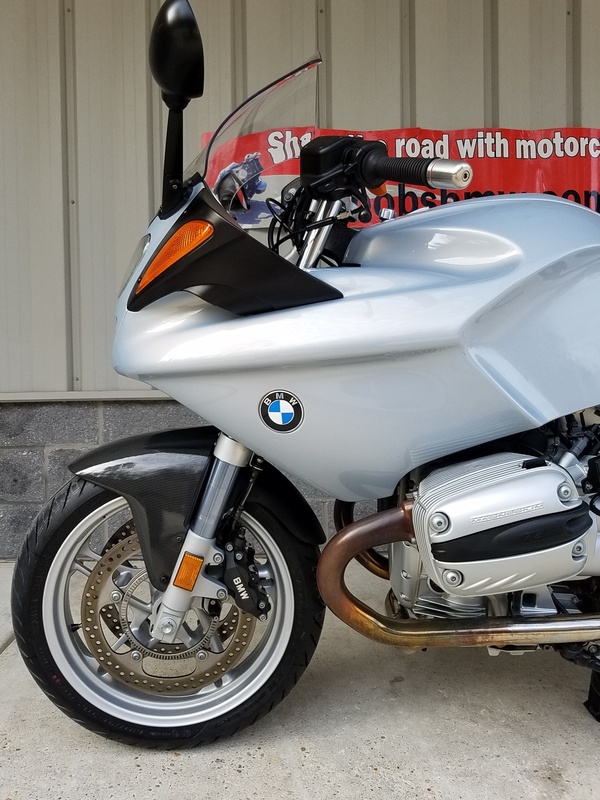 And the R1100S remains an all-time dealership staff favorite ride. There are no less than 5 that belong to the Bob’s team at this time; Bob has two very distinctly different examples himself – one with and one without ABS. What we’re trying to communicate is that this one is really sweet and they have gotten harder and harder to get in any condition. The last decent offering we had was over three years ago. 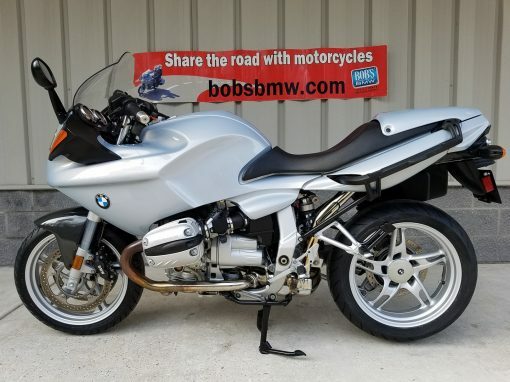 Go search Craig’s List or eBay or Cycle Trader and see how few are available; Bob found a whole nine (9) other offerings when he acquired this one. That’s all years, colors, versions, conditions and all had many more miles than this one, a few had almost three times as many. 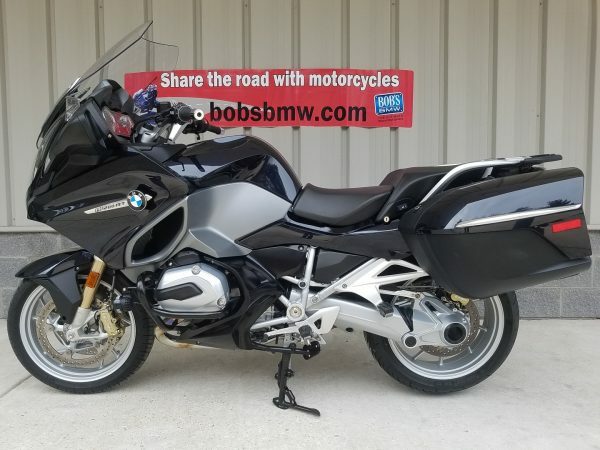 It’s simply an all-around exciting ride with great ergonomics, lots of get up and go, smooth visual lines and the ability to carry full sized, quick detachable BMW luggage which so many sport machines do not. 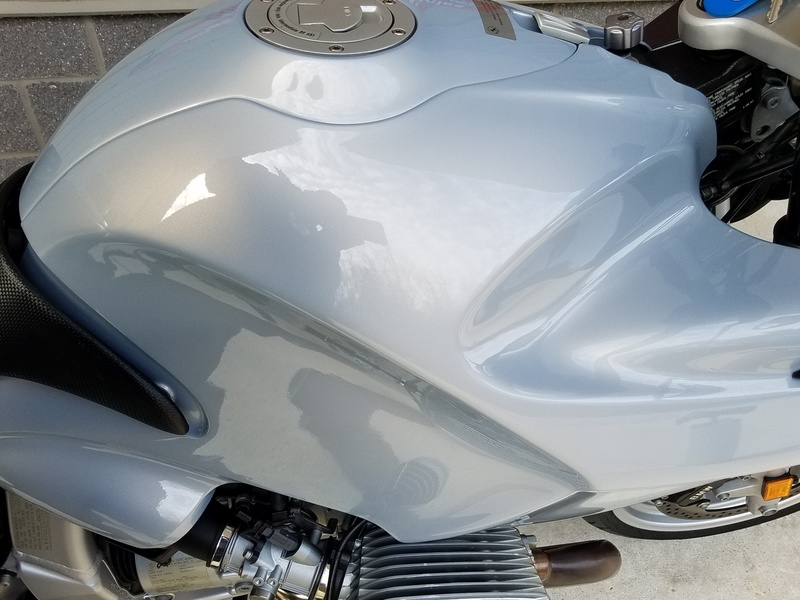 You can fully enjoy these “S” machines on short rides, your daily commute, a cross country tour, and everything in between! This machine was originally delivered new at Bob’s in April of 2003 to one of only two owners. 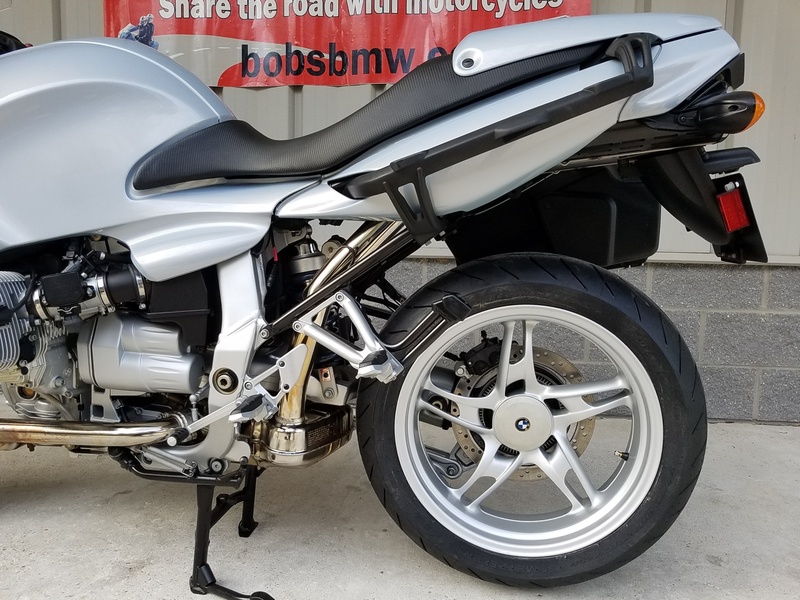 We took it in trade in 2007 and resold it to the owner from whom Bob recently acquired it. It came fully equipped with all the standard equipment plus the sought after factory options. This one boasts Telelever and Paralever suspension, Integral ABS connected to three disc brakes including full floaters up front, the factory center stand, heated grips, a full carbon fiber front fender and the factory color-matched passenger seat cowling in BMW’s beautiful Frost Blue metallic paint. 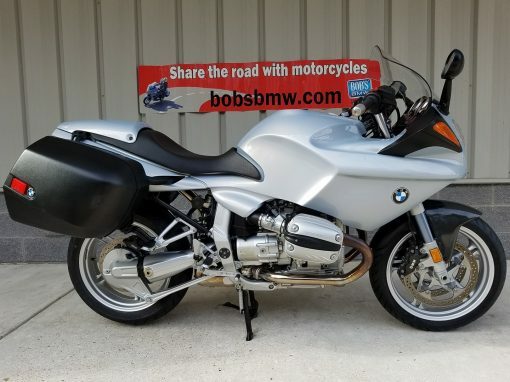 What also makes this one a bit more special is that it also has the BMW comfort package which offers a slightly more relaxed handlebar position and a taller factory windscreen for greater rider comfort all the time. 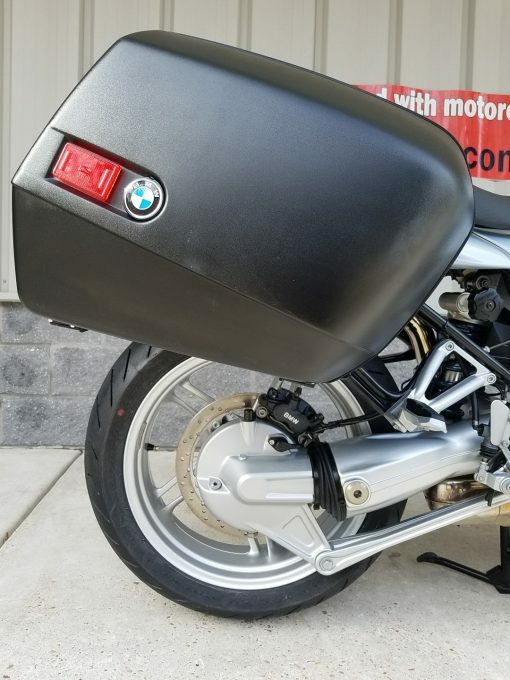 And the BMW touring quick locking, quickly detached BMW saddlebags you see in the images are also included and like the entire machine are in excellent condition. 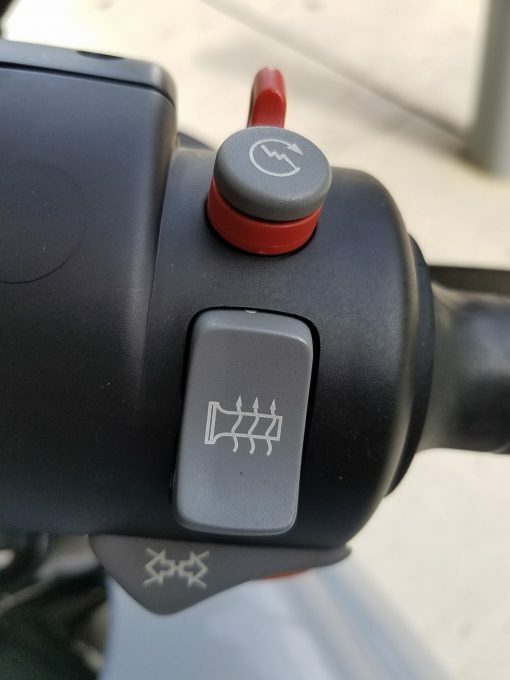 There’s also a stainless steel set of handlebar =end weights of which the right side is also a Throttlemeister cruise control unit and the rear wheel has a center insert which the prior owner added a BMW roundel to for a nice look. 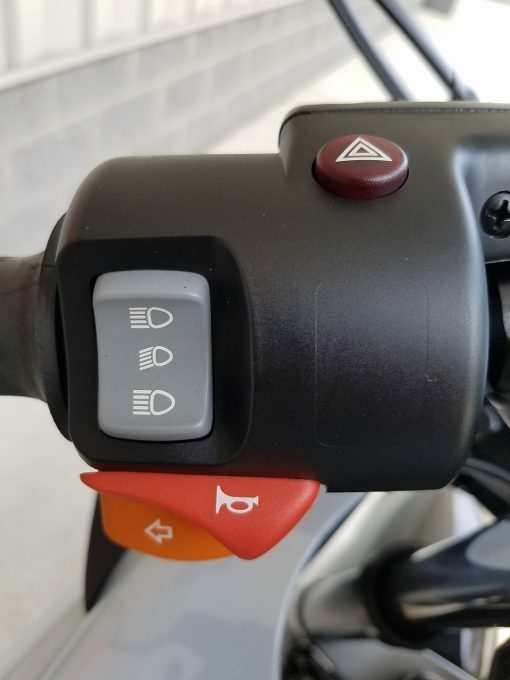 Below/behind the left side throttle body is a factory accessory outlet – the perfect place to attach a battery charger or plug in your electric jacket liner. 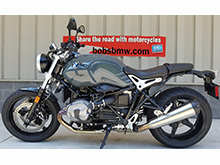 As far as current or future service needs are concerned the next smart owner is getting a lot of extra value thanks to the exclusive way that bob’s approaches the sale of their used bikes – this one needs absolutely nothing. Now or for the next 6,000 miles* or so depending on how often you like to change your oil and filter. At Bob’s our belief is that each owner should have a fresh starting point when it comes to maintenance issues so they can just enjoy the bike for a good stretch. 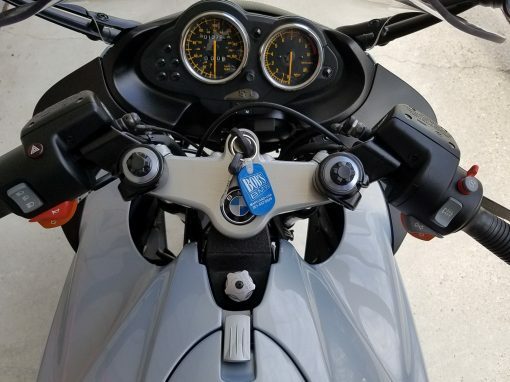 We believe that it’s almost always less costly and typically a huge value advantage to buy a bike with everything done verses spending a little less, then getting all the service performed and finding out that you’ve now spent $1,000 (or more) over the ready-to-ride offering you may have passed by. We’ve just completed a full 12,000 mile, Inspection II and annual service which covers it all including oil, air and fuel filters. We have installed a pair of fresh Metzeler Z8’s, new valve stems as is our standard and filled them with Nitrogen. 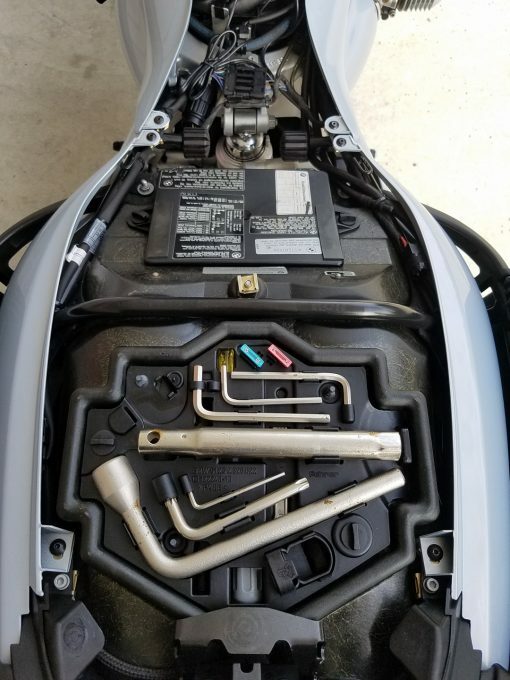 The battery was replaced on August of this year at another shop. 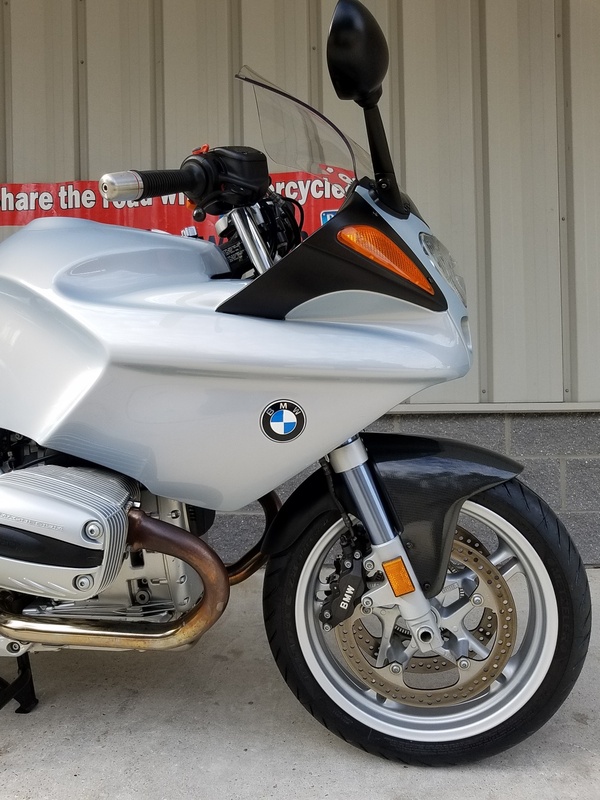 While the bike passed the tough Maryland safety Inspection or MSI upon arrival the rear disc was going to need replacing before the next oil change (we’d suggest 3,000 miles*) so we went ahead and replaced it along with new pads and used all genuine BMW parts. It also went through our even tougher internal, detailed, two full page evaluation before deciding on all the small items we’d address to call it a Bob’s Used BMW. Our attention also included a replacing small assortment of small rubber bits and a few nuts, bolts and washers that did not meet our high standards plus one magnesium valve cover which had a small garage scratch on it that we felt the next owner would not wish to see but someone who just needs a decent looking and fully functional one (RH) can call our used parts department and grab one for their bike. Otherwise, aside from three very tiny blemishes, which you may have difficulty finding, this one is the cleanest example of this desirable, rideable and fun Beemer that is available across the country and we’re very pleased to be able to offered it up smack in the center of the Mid-Atlantic region. 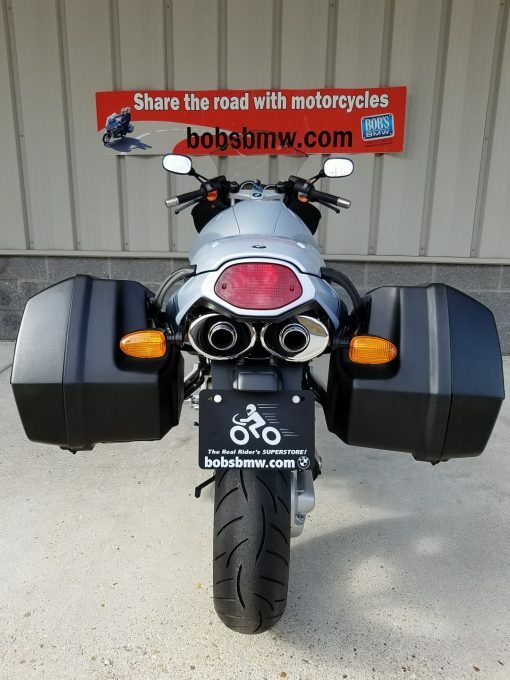 Bob got to ride this one when it first arrived and between his initial longish and fun ride and the tech who did all the work we’ve logged over 30 miles before bringing it to the sales floor. 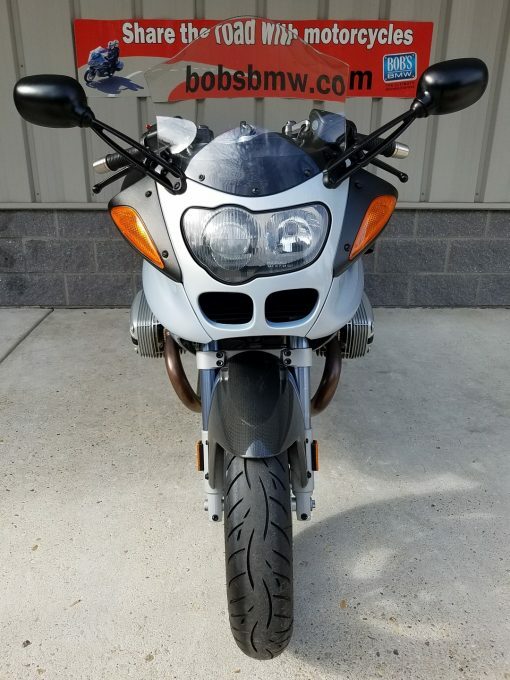 Everything works perfectly and whoever is quick enough to see the value and fun attached to this great looking bike will find that it starts, idles, shifts, handles, rides and stops as good as they can get. It has been fully professionally detailed so riding is the only thing the next owner will need to concentrate on. 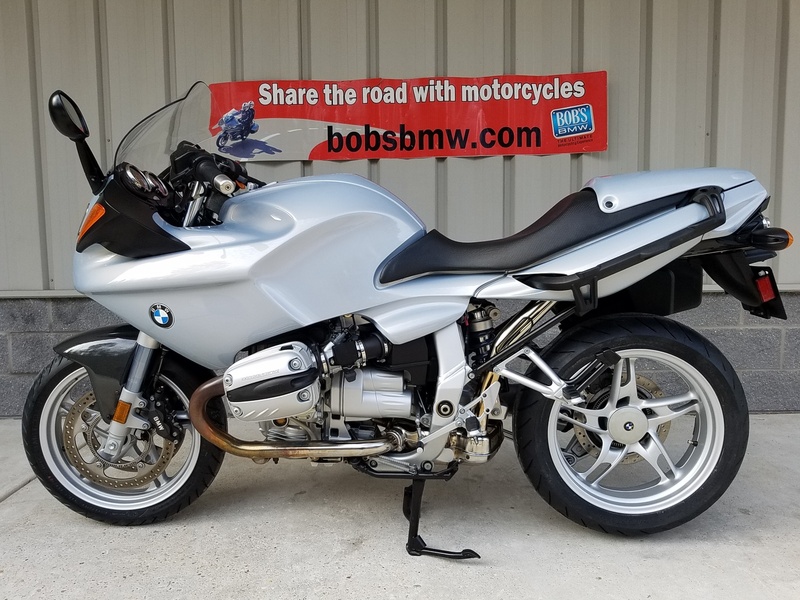 his one will be delivered like most all our excellent used BMW’s are at Bob’s, with two keys, the owner’s manual and the factory tool set. Grab it before someone else steals it from you!